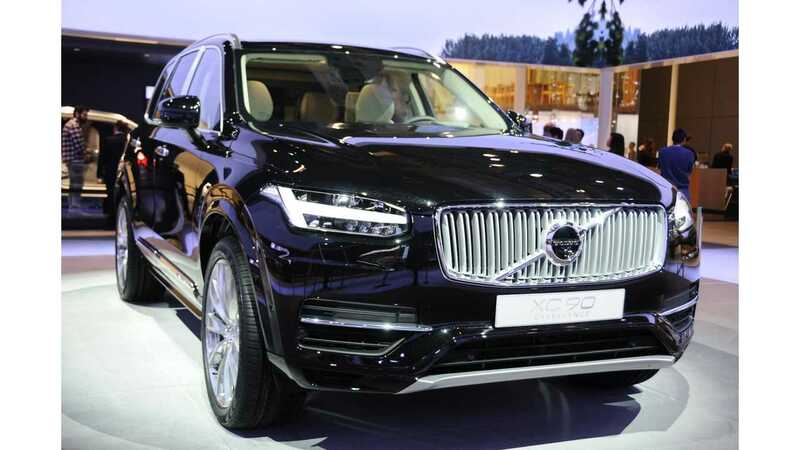 The Volvo XC90 T8 plug-in hybrid SUV has received its official EPA ratings. 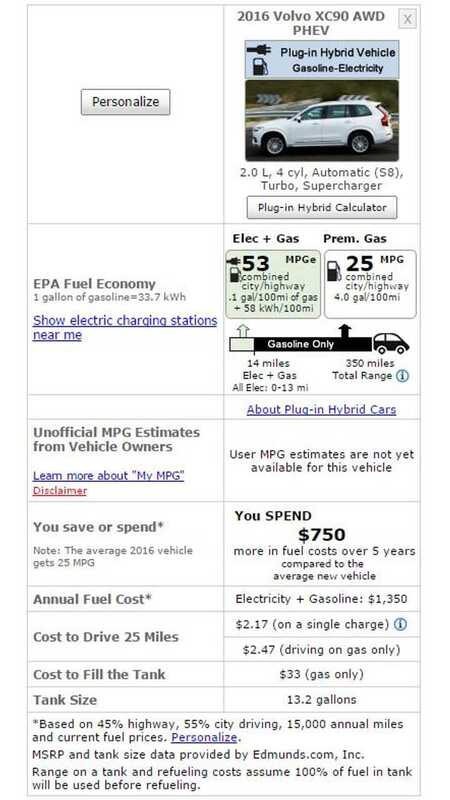 From the graphic above, it's clear that the XC90 PHEV is quite the fuel-sipper, especially given its size. At 30 MPG combined, the XC90 T8 is very efficient for its class. On the electric side, we see that it's rated at 0 to 13 miles of all-electric range , or 14 miles combined. One specification that jumps out is the Volvo's small 13.2 gallon gas tank. 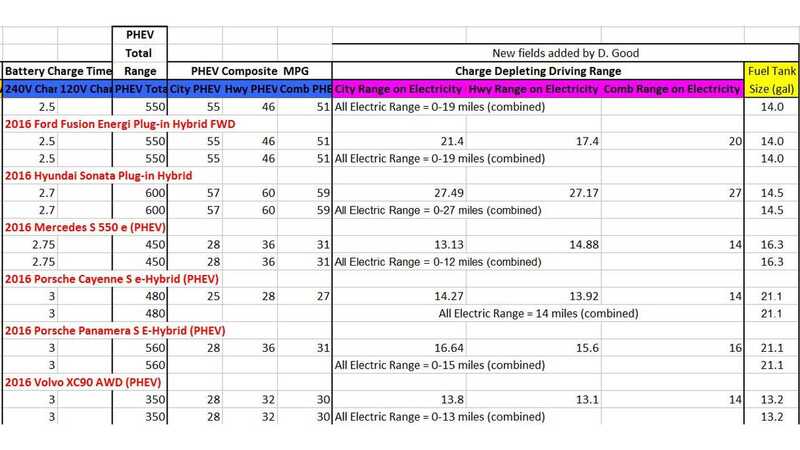 Given the low capacity, the Volvo is a bit burdened by a total driving range of only 350 miles (including electric). The Volvo XC90 has been on sale in the U.S. since August (sort of), yet we're just now seeing its official EPA figures. Volume sales began in December. 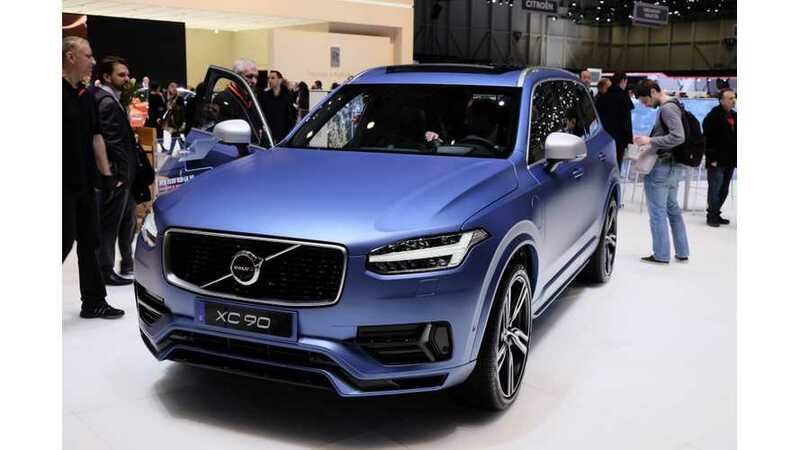 The XC90 starts at $68,100 in the U.S.